Taro is extensively used in South Asia. 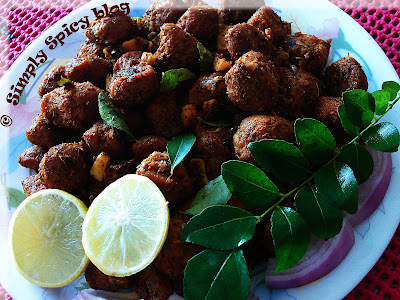 In Kerala state, it is used as a staple food, as a side dish, or as a component in various side dishes. 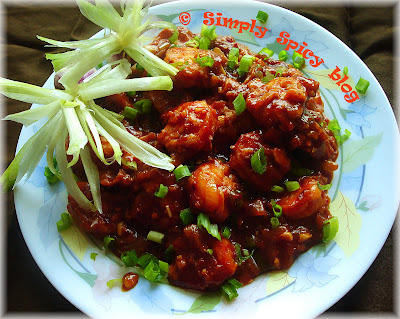 As a staple food it is steamed, and eaten with a chutney of green pepper and shallot onions. The leaves and stems of certain varieties of taro are used as a vegetable in Kerala. 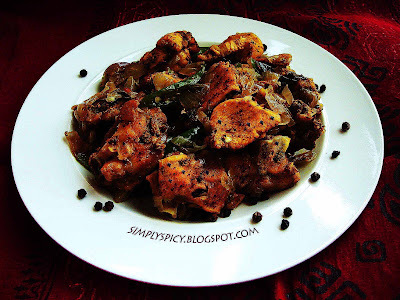 This moru curry's main ingredient is Chembu / Taro. A meal with chemu moru curry, meat masala fry along with rice is a great combination. The combination is irresistible for me. Curry tastes even better once it cools and sits for a while. 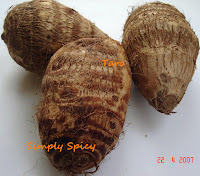 1 ) Boil taro in enough water with red chili powder, turmeric powder and salt. Cook till taro is well cooked. 2 ) Meanwhile grind ingredients listed to be ground to a thick paste. 3 ) Add ground paste to cooked taro. Add little water to make a thick gravy. Adjust salt as to taste. Cook on low heat till it comes to a boil. Take off the stove. 4 ) In a pan heat oil and pop mustards. Then add fenugreek seeds, whole red chili, curry leaves. 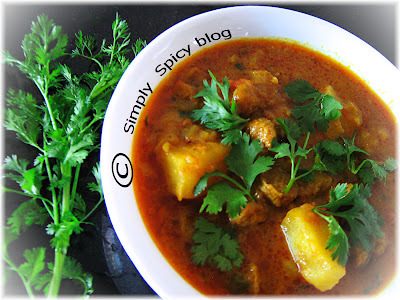 Season chembu moru curry. Serve with rice as a side dish. You know,until today nobody told me that Taro is Kesavugadde!! !Now I know! !Thanks for that. We do have so much Kesavu growing like "nothing" as you said,none in my family cooks with it. hey, the curry looks so good, specially with that sizzling tadka on top! 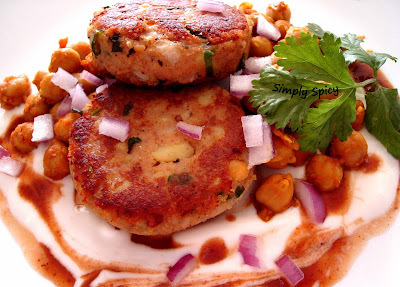 A must try, usually i make a dry spicy version with arbi. thanks for a great variation! Hi Asha : I got that from wiki. If you like kadi, you will like this. Since taro doesn't have a overwhelming taste, the curry has a mild taste. I hope you will like it. Hi Shn : The chembu we get in kerala i think is slightly different in taste and look from this one. Am i right ? Hey I posted mor kuzhambu last week. the curry looks colourful and good. Pravs, I'm confused now. The taro I've seen here looks like this, http://www.vegiworks.com/taro.jpg, I make a Taro chips with it. But I've seen the vegetable that looks like chembu also in stores, I don't know what it is called. Which one did you use? Are these both called Taro? Hi sig : Hey i am confused too. The taro in the link vegiworks is the same thing i used to make this curry. I am searching on the net for more info on taro. 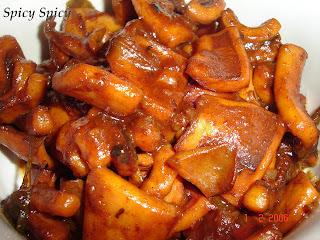 wow...i am seeing so many taro recipes in blogs. never tried cooking them here. u girls r tempting me a lot. Hi Sia : Thanks a lot for giving that info :D Actually i started cooking taro just recently,so i am lost, when asked about taro. I hope this will help sig. 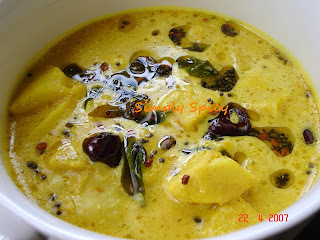 Hi Reena: Will you please post chembu puzhukku and ulli chammanthi recipe ? I make a similar type of curry called 'mor kuzhambu'.Although we can use taro in that curry I have never tried that even once. Your curry looks so rich and yummy. will try your version next time. Thanks for sharing. Hi Kribha: Thank you. Indian taro will taste good for this recipe. I have not come across indian taro here. 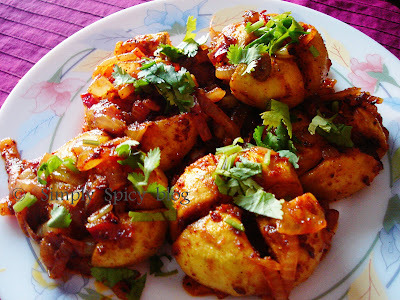 I would love to try your way of mor kuzhambu. This was such a comfort food for me. One of my most requested items back in the day. Haven't had it in a long long time. Hey, we make it this way too and it tastes great. Nice pic. reminded me of my mom's cooking. I am glad you liked the moru curry. 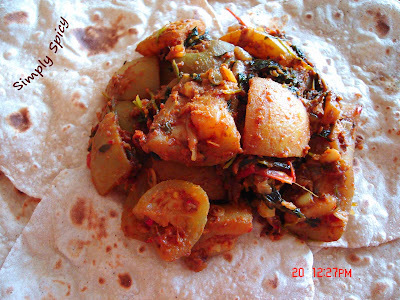 Hey, made this yesterday & enjoyed with rice & pickles. This is so easy to prepare too. Thanks. Suma : Thanks for the feedback :) Glad to know the outcome. I made this curry and served with rice. It was good , but somehow got very thick and my husband was asking for the 'oyichu kuttan':-) I was upset that my new experiments dont impress him and all. or vada soaked in morukuzamu instead of sambar. as sevai and adai all kerala brahmin dishes. I tried out this recipe and really enjoyed the result. Now I can actually use taro in something else other than sambar. This recipe is different, from the traditional Moru-kuttan in the Valluvanad region; the use of garlic in the ground paste adds a different flavour. Loved the picture. 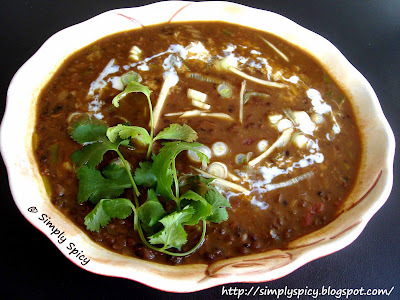 Delicious Curry thanks for sharing us a Great Recipe.keep sharing.